Mistletoe and cancer: Is mistletoe medicinal? Mistletoe is everywhere is Cambridge – look up into the trees and you will often spot dense balls of twigs sprouting from a branch. But other than its mystical and romantic connotations, does mistletoe actually have any clinically proven medical use? 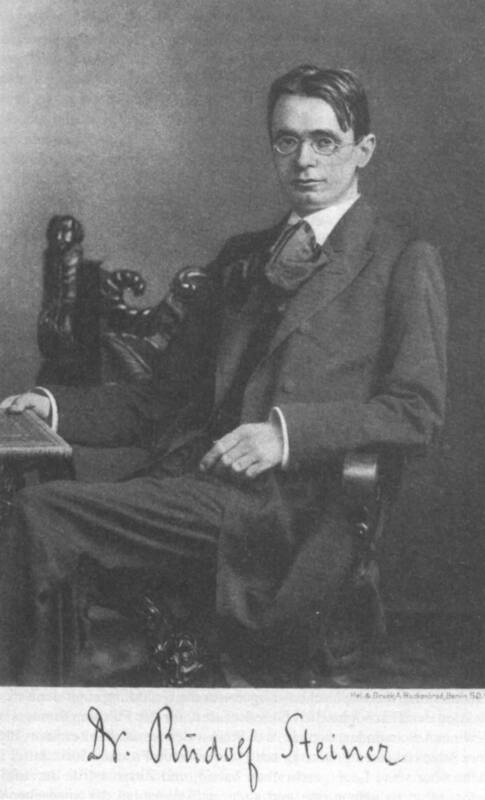 Rudolf Steiner is credited with being the first to raise a link between mistletoe and cancer, admittedly on a rather dubious basis. His school of thought, anthroposophy, followed the maxim, ‘like cures like’. Mistletoe, like cancer, is a parasite, and so it of course follows that mistletoe will be able to cure cancer. However, clinical trials prompted by many people following Steiners advice, have had mixed outcomes. In several trials, cancer patients treated with various forms of mistletoe preparations have had fewer side effects, better symptom relief and survived longer after beating the cancer. However many of these trials were flawed as they had major weaknesses, such as studying just a few patients and lack of information about mistletoe dose. There are also some side effects (but then what cancer therapy doesn’t have side effects?) such as inflammation at the injection site, headache and fever. Yet one compound found in mistletoe that may not be so welcome is its lectin, which is similar in structure to the castor bean lectin, the infamous ricin (that of the end of the umbrella to kill a journalist fame). As with many medicines that come with plants, the answer will be to identify the useful active agent produced by mistletoe and find a way to either purify it or synthesise it artificially. Until that point, however, it serves as a reminder of how powerful plant chemicals can be – for good and harm! The living room’s most popular festive feature, the Fraser fir, has no immunity against the phytophthora root pathogen, infamous amongst plant pathologists, with its greek name meaning ‘plant destroyer’. Professor John Frampton of North Carolina State University is out to change that. A species of phytophthora caused the potato blight of the great Irish famine and no variant of the Fraser fir has ever been found to be even slightly resistant to the disease. 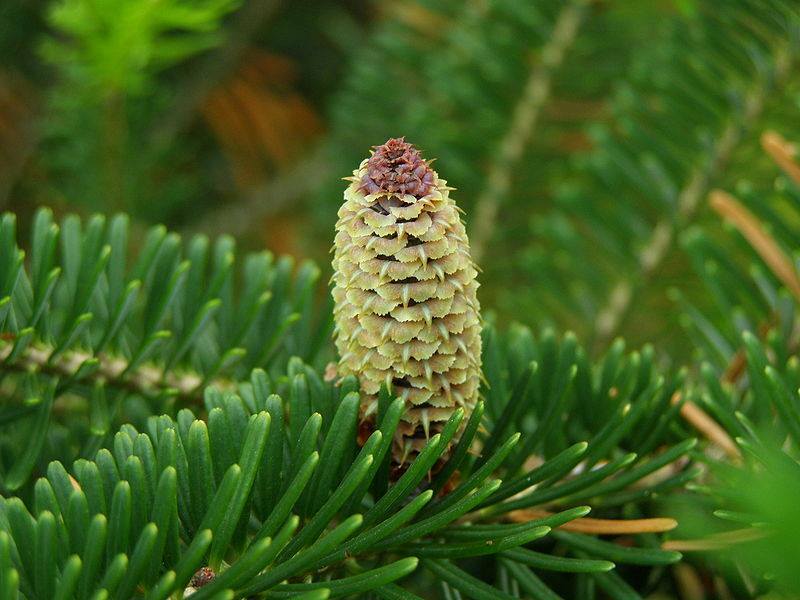 However help is at hand from the Fraser’s Japanese cousin, the Momfi fir, which makes an awful Christmas tree itself but is incredibly resistant to phytophthora. Fraser firs can be grafted onto the roots of a Momfi, to produce a chimera with the best of both worlds: resistant roots and the beautiful Christmassy look of a Fraser. Frampton’s lab is attempting to find genetic sequences encoding root-rot resistance but this is a slow process, genetic modification of Christmas trees is likely to be a thing of the distant future. Even when good trees are found and researchers cross them it takes firs 10 to 12 years before they can reproduce and after this another 6 or so to judge the quality of the resulting progeny. However eventually researchers hope to get to the root of the problem. Most of us know that maize is one of the four staple crops for human nutrition, rice, wheat and potatoes being the others. 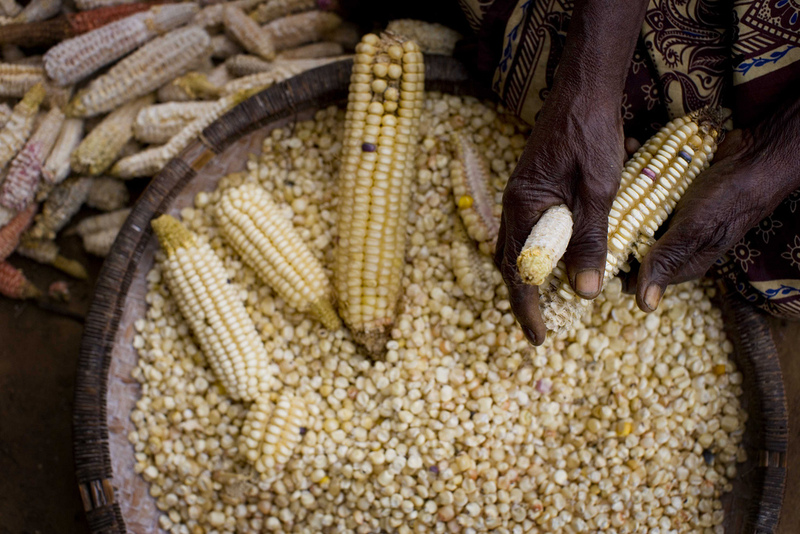 Considering global food insecurity, in what ways could we make this crop better? Perhaps the more urgent question is how have betterments to the crop been restricted, particularly within the ever-skeptical European Union. 1507 maize is a genetically modified version of maize produced by Pioneer DuPont with the aim of being cultivated within the EU. This variety of transgenic maize has the ability to produce an insecticide (Bt-toxin), derived from genes of the bacterium Bacillus thuringiensis. 1507 maize is protected from pests such as the European corn borer – caterpillars of this species chew tunnels that compromise the structural integrity of Maize, destroying it in the process. The crop was first presented in Spain in 2001. However, a chain of bureaucratic constraints, with repeated drafts of proposals for the crop being delayed due to the indecision of the European Commission, has delayed 1507 maize’s entry into the European market for 12 years. Ever most concerning is that 1507 maize meets all of the European Union’s regulatory requirements for genetically modified crops, such as safety compared to the original crop. Reservations about 1507 maize are clear – can we ingest a toxin that has the capacity to kill insects? Maize is one of our staple crops; won’t the over-consumption of such a toxin have long-term adverse effects on our health? Who would want to feed their child toxic corn? Copious amounts of research refute these reservations. The proteins expressed in 1507 maize (Cry1F & Pat) that produce the Bt toxin are not toxic or allergenic to humans and animals. You might say we’re unsure of the long-term effects of the Bt toxin – how do we not know that there isn’t a network of dangerous pathways the toxin may ignite? Quite simply, there isn’t – creation of 1507 maize is not intertwined with the application of the Bt toxin. In fact, Bt sprays have had a history of controlling insect pests by spraying since the 1920s, where it is universally understood to be safe due to the specificity of the chemical for pests. Furthermore, 1507 maize and maize have nutritional equivalency, as well as identical risks of hybridization with wild populations (very low) and levels of environmental impact. It did not take 12 years to discover these facts; in 2005 the GMO Scientific Panel of the European Food Safety Authority (EFSA) concluded 1507 Maize to be just as safe as ordinary maize. Only on the 6th of November did the European Commission approve cultivation of the crop. The concerns of a GM-conservative government and populace was embodied in protests from environmental groups about safety, despite frustratingly manifest evidence that should have silenced their qualms. This is the third GM crop to be approved for cultivation in the European Union. We could perceive this as a victory, but ultimately this huge delay represents the unwarranted skepticism of the developed world towards GM crops. Perhaps we don’t have the same degree of urgency, eradicated by the luxury of huge choice in what we eat. The organic, “gene-less” tide may be okay for now, but we’re at the risk of creating a culture not based on efficient cultivation that will be required in the future. 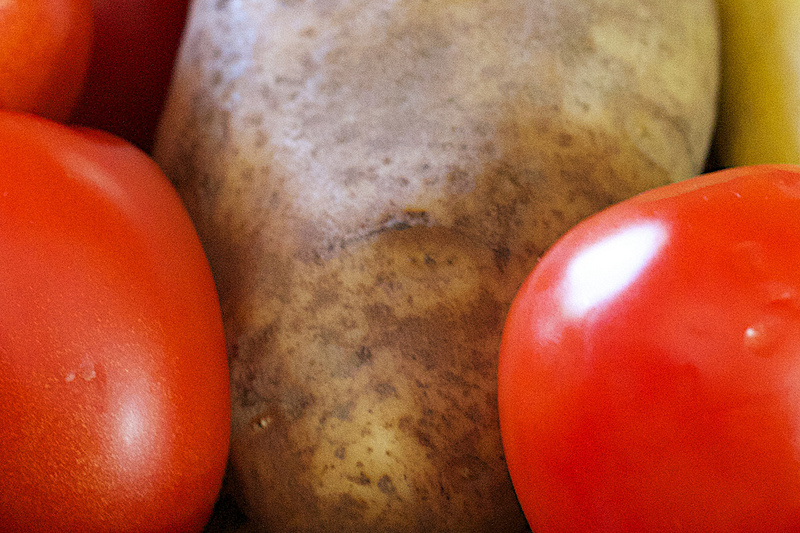 Tomatoes, Tobacco, and Potatoes all seem rather different produce and, as far as man is concerned, all have different uses — tomatoes for food, tobacco for smoking, and potatoes for toddlers’ first ventures into the world of art— but they are in fact all members of the same plant family, the Solanaceae, and as such have a rather similar genetic framework. Indeed this genetic similarity allows for some rather groovy biology. Recall if you will the cultural event that was The Simpsons, specifically the episode “E-I-E-I-(Annoyed Grunt)”. If the name sounds unfamiliar, this was the episode where Homer flees from a duel and decides to become a farmer. Using plutonium as a fertiliser, he inadvertently creates Tomacco, a hybrid between a Tomato and Tobacco plant. It sounds silly, even cartoonish, but could it actually happen? Well…kind of. Tomato plants grafted to tobacco roots resulted in exceedingly high levels of nicotine in tomato leaves and up to a 100x increase in the nicotine amount of the fruit itself. Though, alas, the nicotine content of the fruit was negligible when compared to that of tobacco leaves. Tomatoes have also been grafted with potato roots, resulting in a plant that produces cherry tomatoes above soil and potatoes below soil. Glorious. And the best bit? After research exceeding 15 years, the plants are now commercially available. They are sold by the Ipswich-based company Thompson and Morgan under the trade name TomTato for the slightly dear price of £14.99. Another member of the same family is Deadly Nightshade, but please don’t try to graft this to another species. I prefer my chips when they’re not trying to kill me. Toxins and pollutants that are the by-products of industrial processes are one of the most serious environmental issues of the 21st century. They render land uninhabitable, pollute both water supplies and the atmosphere, and can cause a variety of costly and debilitating illnesses along with it. Removing these pollutants, from wherever it may be they accumulate, is usually a very costly and time intensive affair. Most processes rely on physical destruction of the matter they have contaminated. However, a great deal of work is going in to providing other avenues of opportunity for decontamination. One of these is phytoremediation. Phytoremediation involves using plants to solve these very problems. In doing so, decontamination can be achieved without any need to excavate and transport contaminated material: the entire process of detoxification can be done on site, preventing irreversible destruction of the environment that can occur with other methods as well as reducing cost. Phytoremediation is not a new idea, and many plants have already been utilised to remove toxic contaminants from the soil. Alpine pennygrass has been in use for a long time due to its ability to hyperaccumulate the poisonous metal cadmium. However, a new direction in the field is to utilise metabolic pathways found in other organisms, and then genetically engineer them into plants, with the potential to vastly increase the types of toxins plants can deal with. RDX is a nitroamine based explosive widely used in both military and industrial application and which is far more powerful than TNT. First used during World War II, RDX is still used in the bulk of explosives employed today. Extensive military activity involving RDX over long periods of time has resulted in widespread and severe contamination of the soil with the material. This contamination affects both the land used during the military exercises, but also more concerningly, the groundwater contained beneath it. RDX is toxic; thus, this represents a substantial safety issue. Natural degradation rates of RDX in the environment are low, and the strategies currently employed (such as incineration and composting of the soil) are incredibly expensive. However, nature has one trick up its sleeve. A number of different bacterial species were found that possessed metabolic pathways resilient enough to process and decontaminate the RDX molecules, rendering them harmless and providing the bacteria with a source of energy. Taking advantage of this, one group of scientists engineered the protein, called XplA/B, responsible for RDX degradation in bacteria, into the plant Arabidopsis thaliana. The plants were transformed, and demonstrated an incredible ability to grow in soils so concentrated in RDX to have killed plants not possessing the protein. The plants were able to take up these toxic explosives, and store them safely. Ongoing work is looking at introducing these modified plants into decommissioned military operation sites. At the moment the concentrations of RDX in the soil are so high as to have killed off most if not all of the native species present there, as well as rendering the land uninhabitable. The hope is that, through the use of these plants, effective phytoremediation can occur, and the explosives can be removed from the soil. This article originally appeared in Varsity. With the world becoming ever more connected, people are not the only things taking advantage of planes and boats to get around. Plant species are constantly being introduced, intentionally or otherwise, into places far outside their original range. The term ‘invasive species’ is sometimes used to refer to any of these non-native species. However, it more usually refers to species that are not native to the country they are growing in but that are able to propagate of their own accord and cause both environmental and economic problems. Not all species that aren’t native are invasive: in fact, it is estimated that out of all the new species arriving by human influence, only ten percent of those will survive in their new environment, and only ten percent of those will go on to have any measurable impact. But if you think of the number of plant species in gardens across the UK, that’s still a substantial number. Most invasive plants in Britain start off as garden plants that spread to the wild either by releasing seeds or through being dumped as garden waste. Surprisingly, many invasive species are still being sold as garden plants despite their known detrimental effects on biodiversity. Parrot’s Feather is a water plant often sold as an oxygenator for ponds that forms thick mats of vegetation, blocking out light and choking waterways so much that they dramatically increase the risk of flooding. 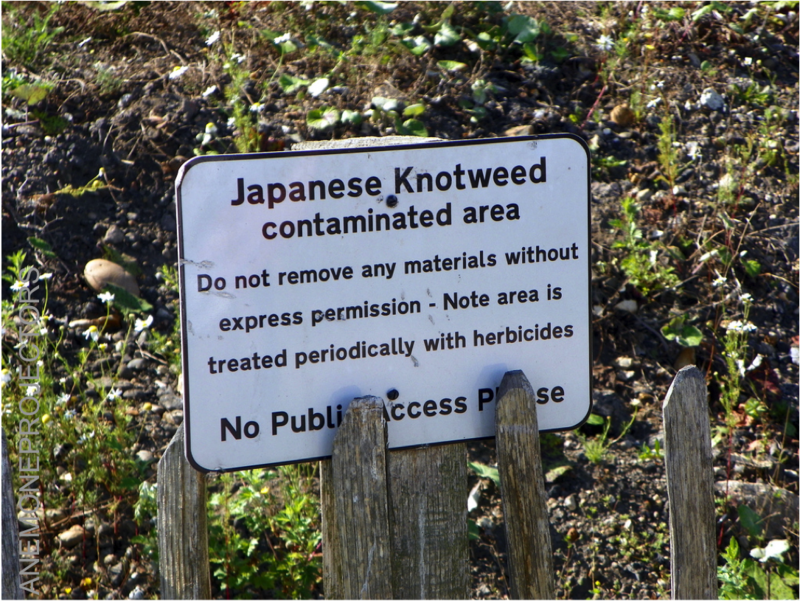 Ironically, Japanese Knotweed, now a notorious invasive species that would cost over £1.5 billion to eliminate from the UK, won a gold medal for being “the most interesting new ornamental plant of the year” when it was first introduced. So introducing species for gardens can lead to invasive species escaping and causing ecological damage by forming monocultures that shade everything else out, and economic impacts such as exacerbating flooding or growing through tarmac. For this reason there are many schemes that act to monitor the species introduced to see if they become a problem and to hopefully prevent them from doing so in the first place. But given Britain’s geological past, deciding what is native and what is not is a lot harder than it first appears. Many European species either did not make it into Britain before the English Channel cut Britain off, or went extinct soon afterwards, and humans then subsequently introduced many of them. 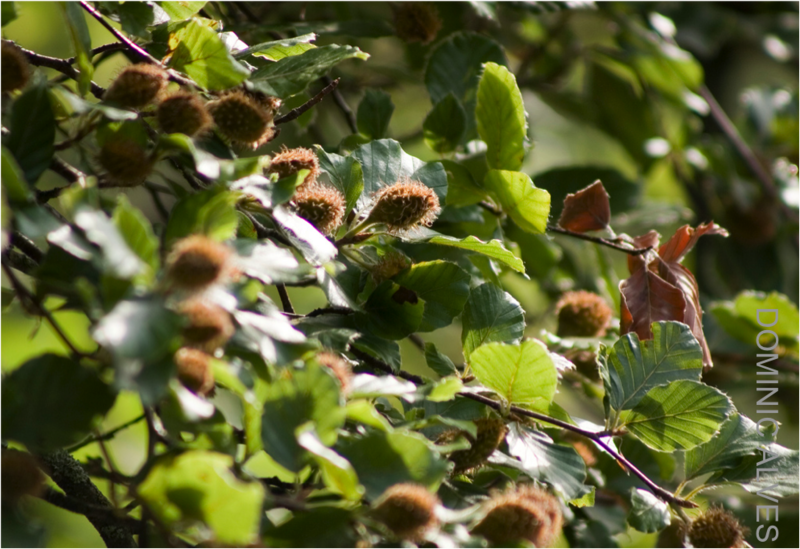 Species that were introduced by humans a long time ago are known as archeophytes, and one such plant is beech, which was probably introduced 2000 years ago because the nuts are edible. For many species it is hard to tell whether they were there to start with or whether they were introduced. For species that were here once but went extinct before humans arrived, and which were then subsequently reintroduced, it’s not clear whether they should be counted as native or not. In addition to this, it has to be remembered that ecosystems are not static – succession and evolution are constantly changing the species composition, so trying to exclude species to keep things as they are is sometimes in the best interests of biodiversity, but it isn’t natural. Perhaps hybrid ecosystems altered by non-natives may have their own value, if given the chance to develop properly. Especially if further flow from the source location is halted, then the non-natives may speciate to some degree, which would make them worthy of protection in their own right. Invasive species are a threat to biodiversity and do need to be controlled if native species are to survive. But the impacts of those that are less damaging can be positive, and given that species transfer is unlikely to stop anytime soon, seeing the value of newly emerging hybrid ecosystems may be a better strategy than attempting to maintain a ‘pure’ state, especially here in Britain, where most of what we think of as natural has been heavily shaped by humanity. For more information, check out the GB non-native species secretariat, which has a database of most of the invasive species in Britain at the moment. Looking at today’s Western world, with fast food readily available, huge problems with obesity, and a ridiculous amount of food wastage, you would never know that there is a need for more wheat. Yet with the world population rapidly expanding, and workable agricultural land area set to decrease due to rising sea levels, ever increasing cities and rising salinity, yields have got to rise dramatically. Prof. Beddington stated at the 2009 BBRSC Food Security Summit that “we need 50% more production by 2020, on less land, less water, using less energy, less pesticides and less fertiliser.” That is quite a challenge, not helped by the fact that wheat yields in the UK (one of our most important cereal crops) have plateaued since 1999, and this is a trend that is starting to be repeated across the world. If wheat yield remains static we will need 360 million more hectares of agricultural land in order to meet the 2030 target. That is equivalent to 24 UKs. It is at times like these that the plant science sector comes into its own. 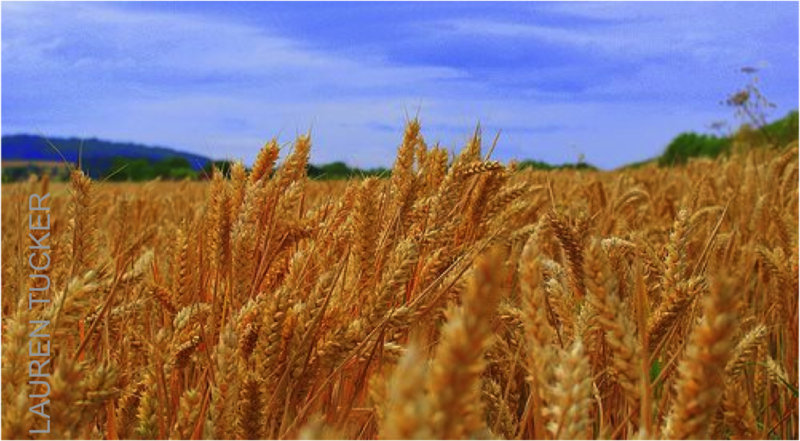 Rather than increasing agricultural area, scientists are working to increase the yield of wheat, to get more food out of the land we already have. In the UK, the Wheat Improvement Strategic Program (or more snappily WISP), coordinated by the BBSRC, has been set up to help meet Prof. Beddington’s target. This collaboration encompasses a variety of projects, based at the John Innes Centre, NIAB and Nottingham University. They are using mostly traditional breeding techniques (allowing them to bypass the time consuming ethical maze that surrounds GM) to introduce new genetic material, and quantify the variety that is already there. Backcrossing current commercial varieties with older wheat strains allows new diversity to be created, widening the frighteningly small genetic diversity of the current commercial wheat strains. Andy Greenland’s group at NIAB, however, has taken it one step further, and is ‘resynthesizing’ wheat – by crossing a diploid (having 2 chromosomes) goat grass (Aegilops tauschii) with tetraploid (4 chromosomes) wheats such as wild and cultivated emmer wheat (Triticum dicoccoides and T. dicoccum) and durum or pasta wheat (T. turgidum). This allows him to recapture the moment that occurred some 10,000 years ago in the fertile crescent, when the first hexaploid (6 chromosome-d) wheat was created. 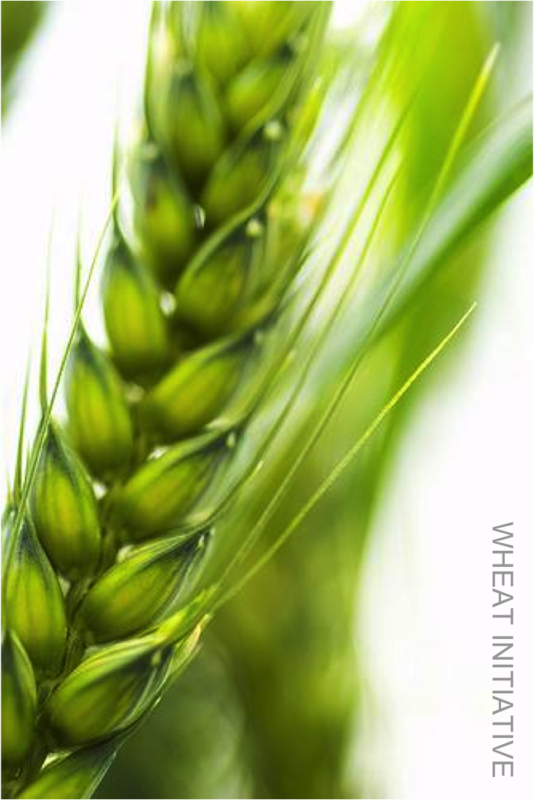 These new ‘synthetic wheats’ will be crossed with bread wheat to create ‘pre-breeding’ material suited to the UK climate. Already this project is showing promise – this new ‘superwheat’ (as it has been coined by the press) has shown yields of up to 30% more than normal varieties, and is able to cope with low nitrogen soils, meaning that it will require less fertilisers. Whilst the work being carried out by the WISP collaborators is incredible in itself, there is one factor that makes it very special in my eyes. All the results of crosses and genetic analyses, along with the germplasm (small pieces of living tissue from which new plants can be grown) will be freely available. This means that plant breeders can use the germplasm to cross with their existing lines, which will speed up the vital process of getting this new research into commercial varieties. Additionally, academics will be able to use this information to further their own research in the area. Without such open collaboration, it would be much harder to make use of any important discoveries, and use them for what they were intended for: to increase wheat yield and help feed the world. Finally, to underline the importance of such work: in the next 50 years, we will need to harvest as much wheat as has been produced since the beginning of agriculture, which was some 10,000 years ago.